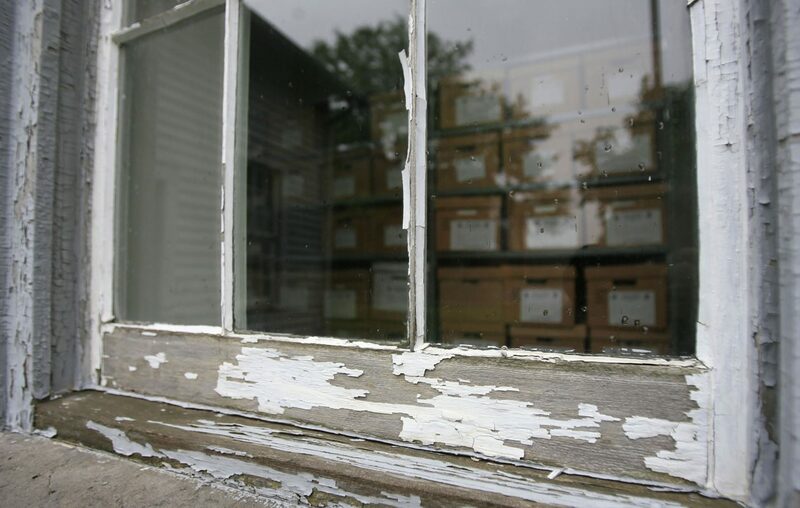 An Amherst man has become the first person arrested in Erie County for violating a five-year-old public health law regarding lead paint. But it's not his first brush with the law. Maxim Levin, 41, was arrested Tuesday on charges he continued to rent out an apartment where lead paint exposure was present. Last week, the Belarus native was sentenced to 21 months in prison on on tax fraud charges. In 2007, he pleaded guilty to federal fraud charges after prosecutors said he masterminded a scheme involving phony automobile crashes, insurance claims and a doctor. He also pleaded guilty in 2007 to a felony drug conspiracy charge. On Tuesday, Levin was charged with one count of willful violation of health laws, a misdemeanor under the law enacted in 2014, after he violated an Erie County "Do Not Occupy" order. He allegedly continued to allow tenants to reside at the home on Fargo Avenue despite two cases in which children living in the house were found to have elevated blood lead levels. 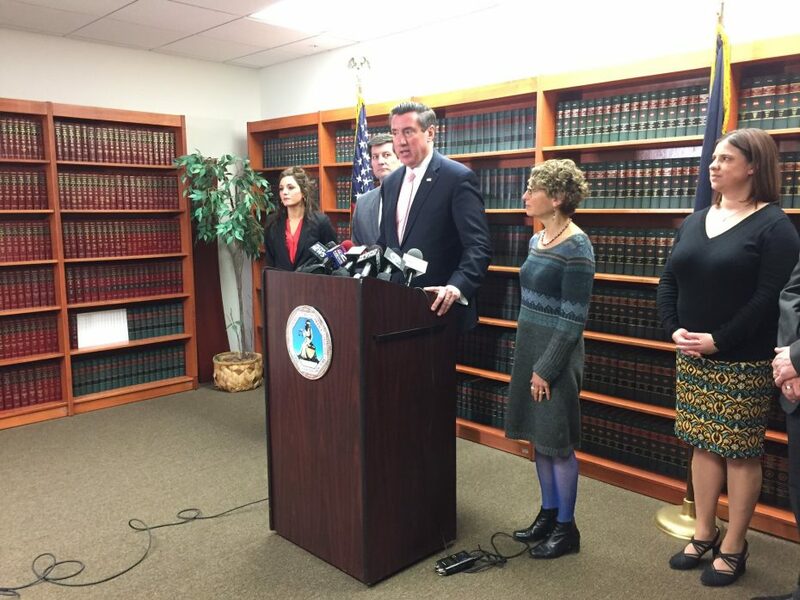 Erie County Executive Mark C. Poloncarz, who joined Erie County District Attorney John J. Flynn and Erie County Health Commissioner Dr. Gale Burstein at a news conference, said the arrest should send a clear message to landlords: "We will not tolerate the poisoning of our most precious resource: our children." In November 2016, the Health Department was notified about a child with an elevated blood lead level who lived at the Fargo Avenue address. Officials said in a statement that a public health sanitarian "inspected the home and attempted to work with the landlord to correct the violation." In July 2018, a second child at the address was found to have an elevated blood level. A "Do Not Allow Occupancy of Dwelling Unit" was posted by the county on the front door of the property in September 2018; it stated that the property needed to be vacant until it was inspected and approved for occupancy by the Department of Health. Later that month, the sanitarian returned to the home to find the "Do Not Occupy" notice had been removed. When the home was inspected in January 2019, it was found to be occupied. "There is no safe level of lead for children," Burstein said. "Exposure to even a very small amount of lead, through household dust or peeling paint, can cause serious and lifelong damage to a child's health and their neurological development." Levin is due to return to Erie County Court April 3. Levin is in federal prison after being sentenced Thursday to 21 months in prison after having been convicted of filing a false tax return. He was also ordered by Chief U.S. District Judge Frank P. Geraci, Jr. to pay restitution totaling $161,606. He pleaded guilty in 2007 in federal court to multiple offenses, including helping to mastermind a scheme involving staged automobile crashes and false insurance claims.